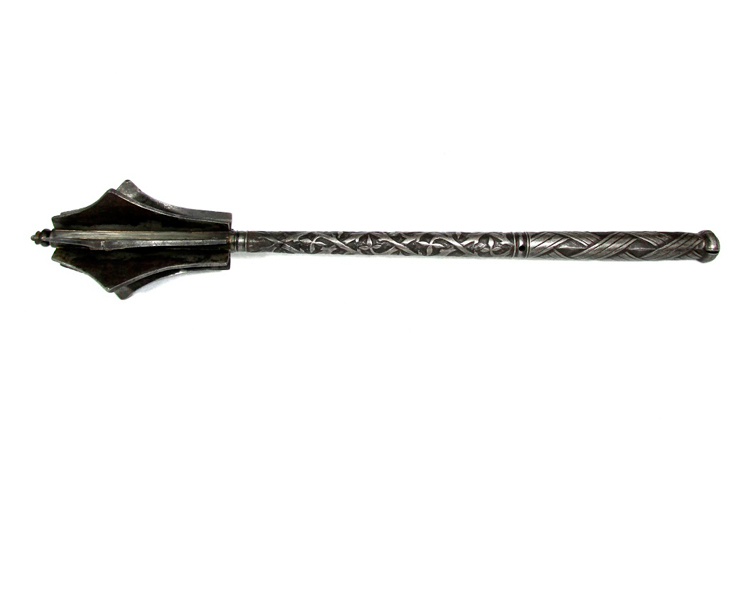 A finely formed seven flanged all-steel mace, each flange swelling towards the tip and copper brazed to the hollow shaft, surmounted by a turned finial. The grip with interlaced strap work, terminating in a fluted ovoid pommel. 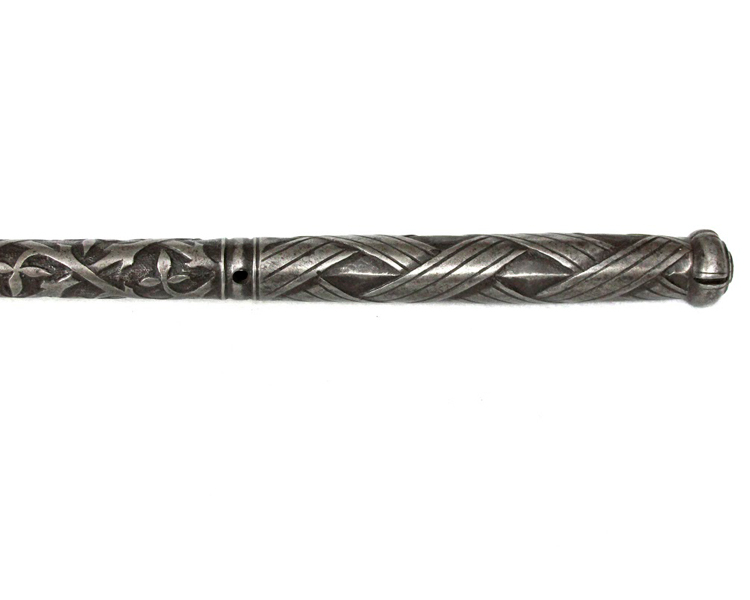 The shaft tapering towards the head, chiseled with floral branches against a stippled ground is pierced for a lanyard at the top of the grip. Maces in this superb condition are rarely found.